Since 1971, Stichting Boerengroep (Peasants/farmers Foundation) aims to connect the university (students, research, education) with the reality and challenges of farmers and peasants in the Netherlands and worldwide. “The education at the university was very theoretical and moreover it often gave a wrong impression of the reality of farmers and peasants” – Jan Douwe van der Ploeg, one of the founders of the Boerengroep. Therefore de Boerengroep started to conduct interviews with farmers. These interviews were then taken into the university where researchers were questioned and stimulated to conduct research on the true needs of the farmers in reality. In 1971, a massive demonstration took place. 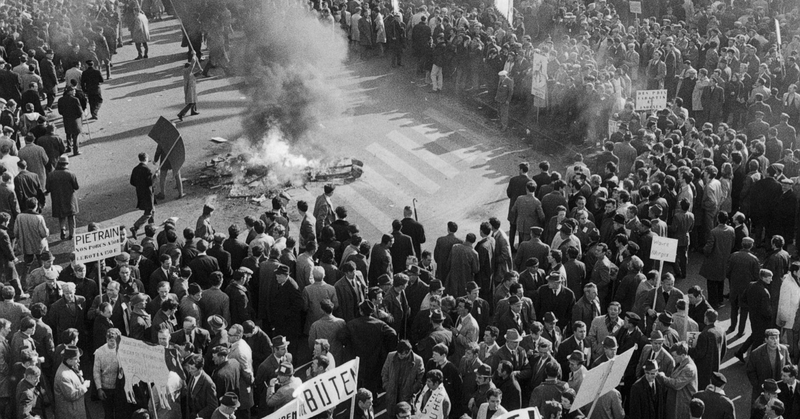 Half a million farmers were on the Streets to protest against the low prices – the Boerengroep was there to support them. Until the moment of today, de Boerengroep is still fighting for social, just and sustainable food production. We do this by bringing students into the fields and farmers into lecture rooms at the university. Big demonstration by farmers and peasants, 1971. We are supervising on average 2 interns with Boerengroep, so that students have a place to work on topics they find important to share with others, while gaining work experience, broadening their professional network and having the informative opportunity within an international organization with over 40 years of experience. Moreover, we are actively involved in offering thesis topics to students, that are related to agriculture related challenges of the realities that peasants, farmers, gardeners and indigenous communities face. interviews with farmers. In cooperation with Toekomstboeren, Boerengroep members often go to the field to conduct interviews with farmers on topics like access to land, innovative ways of farming, agroecological approaches etc. 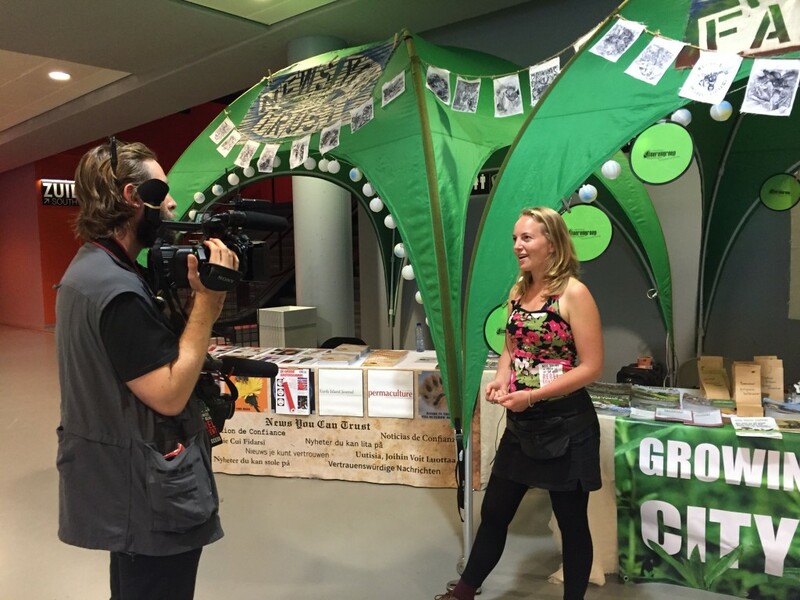 Boerengroep at the Activist Village of Neil Young, during his tour ‘The Monsanto Years’, July 9th 2016, ZiggoDome Amsterdam. Een aantal keer per maand tijdens de lunch (12:30-13:15) houdt de Boerengroep een lunch break – ‘Farmers Tales’ – . Tijdens Farmers Tales bieden we de ruimte om informeel bij te praten over belangrijke onderwerpen omtrent duurzame voedselproductie. We laten een film zien, hebben een spreker of delen samen onze kennis, ervaringen, ideeen en passies. Neem je lunch mee en kom langs voor een kop koffie of thee: studenten, onderzoekers, PhDers, boeren, activisten – iedereen met interesse in eerlijke, duurzame voedselproductie is welkom! Ben je opzoek naar een stage of thesis? Kom langs en wieweet kunnen we je in contact brengen met onderzoekers, organisaties of boeren!